Can't find what you need on this page? Use the CONTACT form to let us know. inclusive environment for all children and teens. Youth Outlook offers safe, supportive, and affirming services for ​LGBTQ+ youth, their families, and the community. Our Drop-In Centers meet weekly and are a social setting for youth to meet other LGBTQ+ young people and talk about a variety of topics that really matter to them. Whatever the topic, Youth Outlook’s Drop-In centers provide a place for LGBTQ+ youth to feel safe, supported, and celebrated. I think my husband is gay. My wife came out as Lesbian. 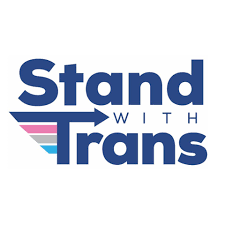 Stand With Trans began in February 2015. Roz Keith, the founder, was in search of resources for her own child at the time who had recently came out as transgender. There was an identified need with a lack of resources, which resulted in the creation of Stand With Trans. Since 2015, Stand With Trans has been dedicated to developing programs, educational events and support groups to serve Transgender Youth. Their mission is to advocate, celebrate, and educate. One of the many resources that Stand With Trans provides is access to a wonderful group of individuals called "Ally Moms". What are "Ally Moms"? A group of moms who have come together because they have a transgender child. They live all across the United States. Their children are at different ages and at different stages along their journeys.Some are just beginning to transition, some are living authentically as adults already. Live in Northern Illinois but not in the Sauk Valley area? Check out PFLAG Council of Northern Illinois, a loose coalition of PFLAG chapters within the greater Chicago land area. Perhaps there is a chapter closer to home.